Today, I’m testing out a really cool new product in developement by my friend, Doug Loveday. 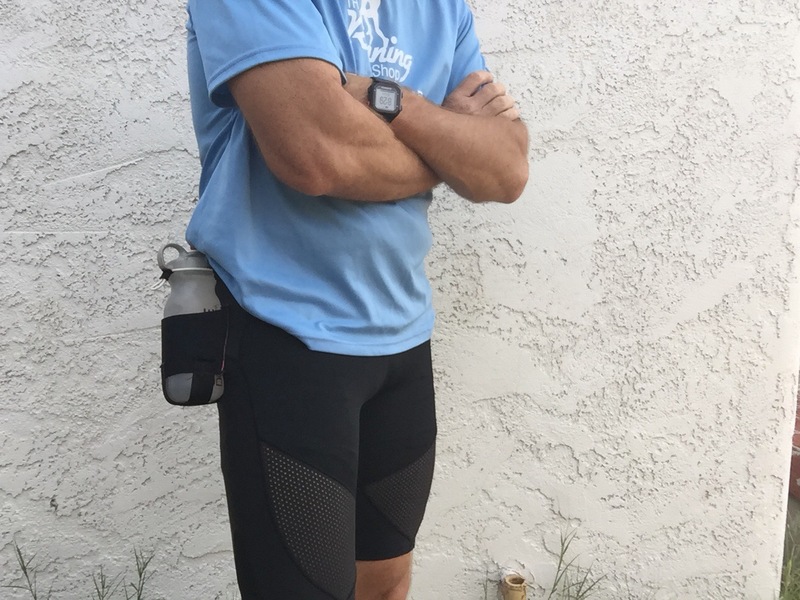 These are compression shorts with holsters for water bottles that ride on your hips. This is the first time I’ve worn compression shorts and so far, I really like them. 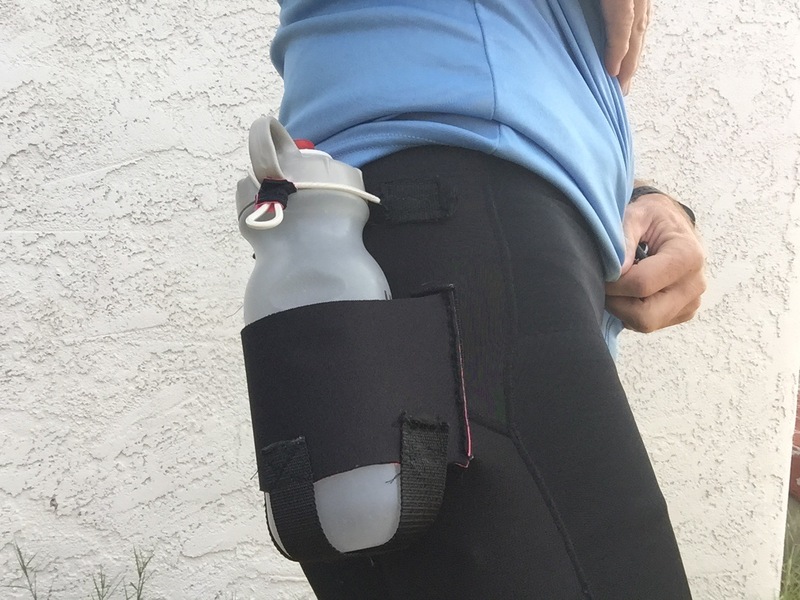 The holsters seem to be in the right place, they have a draw string to secure them on top and this version has pockets in the middle back – which I really LOVE – where I can put keys, gels, and maybe even some light running gloves.. other smaller items. I’m excited to test this out because it’s a hands-free system for mid-range and long-runs and it adds capacity to really long runs and races. The trail I’ll be using for this test is Phoneline Trail in Sabino Canyon. The run is about 8.6 miles roundtrip with a good amount of climb and lots of bouncing up-and-down movement. Depending on how I feel, I might follow this up with a tram-road run – 7.4 miles out-and-back – which will be smooth pavement running. Wish me luck.. and stay tuned..